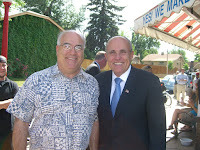 I just met with Rudy Giuliani www.joinrudy2008.com at Bonnie Brae ice cream. Right now I'm committed to Fred Thompson, but that could change if he doesn't get the horse out of the chute soon. I liked the fact that Rudy spoke very favorably about President Bush and the surge in Iraq. He is very personable, capable, knowledgable, and would be a great GOP candidate in nearly every respect. I suggested to him that he take into consideration what an important issue Pro Life is to nearly all of the GOP base. Thanks for writing, John. I appreciate the kind words. I'm taking some time off but hope to resume writing for somebody before too long on a freelance basis.. I certainly will continue to play baseball. Caught nine innings yesterday, in fact. I'm afraid I would have to disagree with you about caucus dates. Political parties are private organizaitons and the Supreme Court long ago said that their rules can supersede state law. If the parties want to have separate dates, that's OK. The caucus system is fine but people won't come unless they think the vote they cast there will have some effect. And until the parties set up an instant reporting system a la Iowa they won't resume coming. Of course the earlier and earlier front-loaded primaries are so screwed up now that Colorado will have no impact whatever on the presidential race no matter when the caucuses are. I just got my first bounced email from you telling me that you are no longer with the Rocky. Thanks for all the great years of covering Colorado politics. Colorado is much better because of you. Thought you might be interested in the bounced email, see below. Please let me know if there is anything I can do to be helpful to you. Will you still be playing baseball? 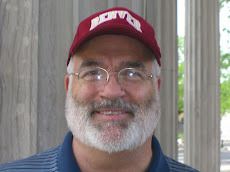 I'm writing you as an alum of the University of Denver (BA'69, MBA'79). I see that you are giving a presentation for the Rockies Venture Club about how to write a business plan when launching a new business. Are you familiar with the work of Dr. Amar Bhide at Columbia University www.bhide.net? He has written what the publisher of Inc. Magazine has called the most important book on business startup, The Origin and Evolution of New Enterprise. Dr. Bhide has found that successful businesses don't do formal market research or write formal business plans. I've just complete an assignment that stretched to nearly 3 years, and I'm now trying to decide how to be most helpful in helping people who want to start a new business. 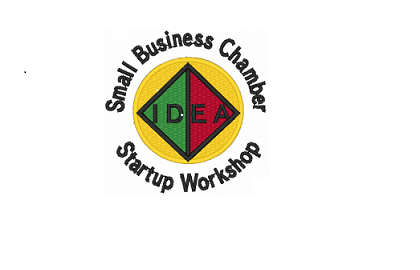 Since the formation of the Small Business Administration in 1954, our country has turned from being a nation of shop keepers into a nation of clerks working for Starbucks and Walmart. Your feedback would be most appreciated. My cell phone is (720)495-4949. I'm going to post this letter on my blog, where I will also post your response. Mel Toellner gets tears in his eyes when he tells how his daughter, who was 14 at the time, explained to him why he could never sell the family business, Songbird Station/Gold Crest Distributing. "You could never sell the business, Dad," young Becky said. "No one would ever treat our customers as great as we do." "Even at that age, she got it," Toellner said. "The key to success is treating people - customers and employees alike - the way you would like to be treated." Toellner is a speed reader of motivational business books. He likes to learn how others have created their success. But his personal philosophy is pretty simple: Have enough volume that you can create a reasonable price point, provide excellent customer service and say "thank you." "It’s just the basic golden rule," he said. "We toss in a lot of enthusiasm, an emphasis on family and faith and the fact that we truly love what we do. 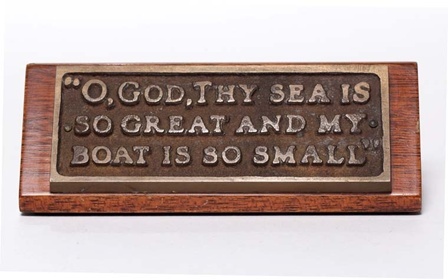 That’s about all there is to it." Toellner makes it sound easy. But entrepreneurship has been in his blood since he was a young boy, working in his father’s tire store in Bunceton, keeping the candy and cigarette counter stocked. He carried that passion with him to college, where he worked his way through school as owner of Mel’s Plants, a service that provided flower and foliage displays for University of Missouri-Columbia offices, sororities and local stores. 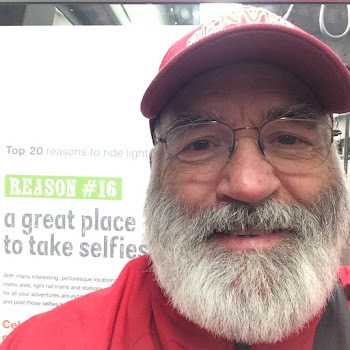 Years later, while working for Purina Mills, he attended a trade show and noticed that no one was addressing the needs of the backyard birder - those of us who like to hang bird houses, feed the birds and squirrels through the winter and watch the hummingbirds in the spring. Songbird Station was born. Toellner and his wife, Bev, opened the first store in 1995 in the Forum Shopping Center. Toellner kept working for Purina another five years and then took the full-time plunge into entrepreneurship. To achieve economical price points for his retail products, Toellner expanded to create Gold Crest Distributing, now the largest distributor of bird- and nature-related products of its kind in the country. He opened another retail location in Mexico, Mo., adjacent to the distribution site. Then, in early 2007, he and Bev relocated the Columbia store to an expanded and greatly enhanced space at 2010 Chapel Plaza Court. He and his 42 employees distribute products to some 2,000 locations from Mexico. The company was listed in Inc. Magazine in 2002 and 2003 as one of the top 500 fastest growing privately owned companies in the United States. With projected sales of $15 million in 2007, it’s easy to see why. Stepping into Songbird Station is like stepping out to your own backyard. Water gurgles through the fountains, and birds sing from the speakers above. Thousands of unique products line the shelves and floors and hang from the ceiling. During the expansion, the Toellners added a section of dog products, a silk flower area, more and different feeders and more garden ornamentals. There’s a terrific section for kids. Or if you simply want a bag of sunflower seed to keep the cardinals happy, you can grab that as well. They’ll even carry it to your car. Songbird Station is a unique experience. While Toellner and I were talking, he had to briefly step away to take a phone call. I sat in a comfortable overstuffed chair in the store’s "library" and watched the birds on the flat screen television mounted above the fireplace. I could feel my blood pressure going down. If Toellner hadn’t returned in fairly short order, I would have been peacefully sound asleep. With such a huge operation and markets throughout the country, Toellner could locate Gold Crest and Songbird Station anywhere. "But this is where Mama had me," he said, "and our location in the middle of the country is an advantage. We have product at its destination within three days. No one else can match that." That’s the service element Mel thinks is so critical. "We take care of people," he said. "Anyone who works for us is empowered to make things right for the customer - no matter what it takes." Toellner is committed to running a family-oriented business. His employees are encouraged to attend family functions. He’s proud that he only missed a couple of his own kids’ baseball or soccer games. Mel’s son, Grant, and Becky have grown up around the business listening to "kitchen table talk" and occasionally brainstorming with their parents to name products and offer suggestions. Toellner is proud that Grant came up with the now-trademarked name "Nectar Protector" for the company’s ant moat for hummingbird feeders. Both Grant and Becky have worked in the business off and on while growing up, on breaks from school and during the summer. But Toellner believes kids should get a college education, go out into the world for at least five years and then, if they want to return to the company, Toellner said, "We’ll talk." To get away from the business, the family travels, typically to visit major league baseball parks. They have visited all but four. It is said that successful entrepreneurs carry the spirit of the business with them always. That’s certainly true for Toellner. Behind an unassuming and modest exterior, there is the genius of overwhelming success. You would never know talking to Toellner that you are dealing with the owner of a $15 million company. He focuses entirely on the moment at hand - eyeball to eyeball, as he said - to serve the customer. His philosophy of business ownership is easily stated and obviously sound. And you can even hear it when he answers the phone. "This is Mel. How can I help?" Mary Paulsell is the director of the University Center for Innovation and Entrepreneurship at the University of Missouri-Columbia. Reach her at paulsellm@missouri.edu, or visit www.missouribusiness.net.